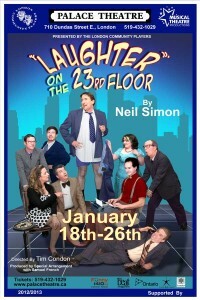 Inspired by the playwright’s youthful experiences as a staff writer on Sid Caesar’s 1950s television show Your Show of Shows , this Neil Simon favourite depicts the harried writing staff as they frantically scramble to top each other with gags while competing for the attention of star madman Max Prince. 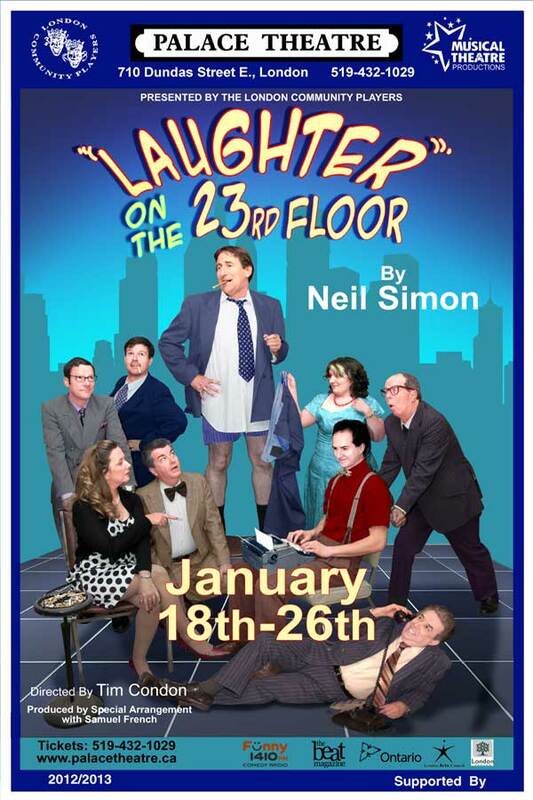 Filled with classic humour and colourful characters, Laughter on the 23rd Floor is bound to have you… well… laughing. Tickets: $22 adults, $18 seniors, $16 students, $8 under 18; available online and at the Palace Theatre box office, 519-432-1029. January 17th preview: $10 adults, $8 children 18 and under.